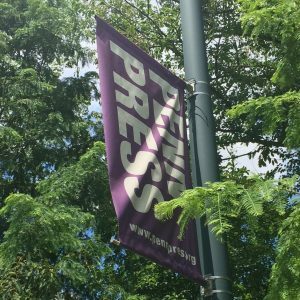 This summer I had the opportunity to intern with Penn Press, the University of Pennsylvania’s scholarly publishing company. I always have considered working in scholarly publishing, so for me, this internship was a dream come true. 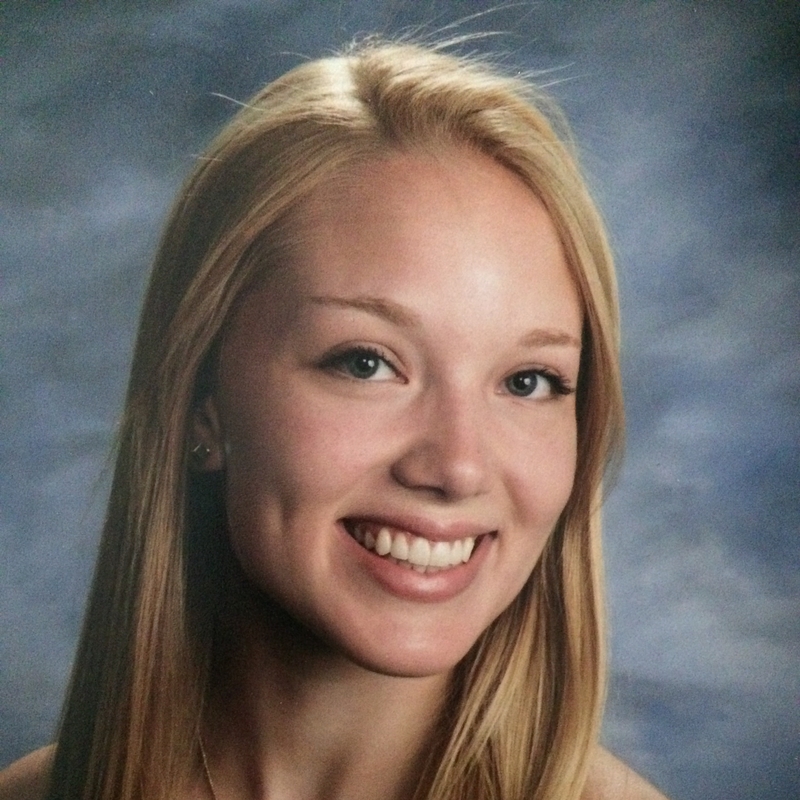 However, this internship would have been just that—a dream—if not for the help of Sigma Tau Delta. I commuted from Baltimore to Philadelphia (about three hours door-to-door!) in order to participate in this internship, a trip that would not have been possible without the Sigma Tau Delta Summer Internship Stipend. I cannot thank Sigma Tau Delta enough for supporting my internship experience, as it proved a pivotal step in my career path. 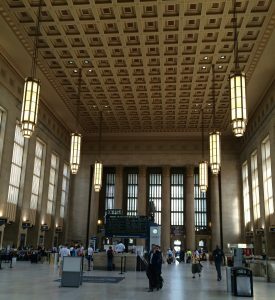 My time with Penn Press allowed me to inform my career goals and gain an inside look at the publishing world. 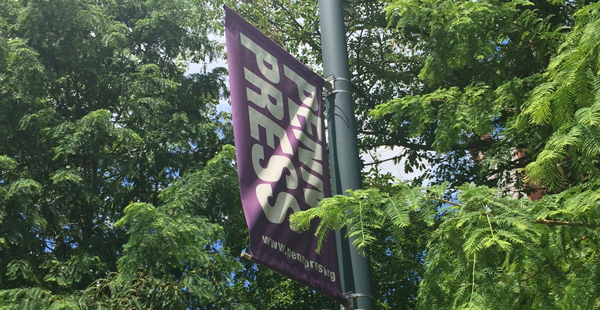 During my time at Penn Press I worked in the Journals and Acquisitions Departments, participated in press meetings, and took part in informational seminars. Because the program was comprehensive, allowing me to work professionally while also acting as a student of publishing, I developed an enlightened perspective on my career goals and on this field. Among other lessons, Penn Press taught me the important differences between scholarly and trade publishing, and the ways in which scholarly publishing is a multi-dimensional field. 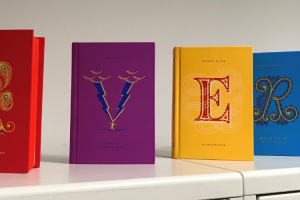 While working in the Journals and Acquisitions Departments I was reminded daily that the publishing world is deep with each of its parts working to reach similar, but distinct, goals. Both departments reinforced that scholarly publishing is a field of its own, unique from trade publishing. My previous view of publishing was amorphous, ignoring the nuances between trade and scholarly publishing. However, at Penn Press I realized scholarly publishing departs from trade publishing in its emphasis not on sales, but on meaningful contributing to scholarly conversations. 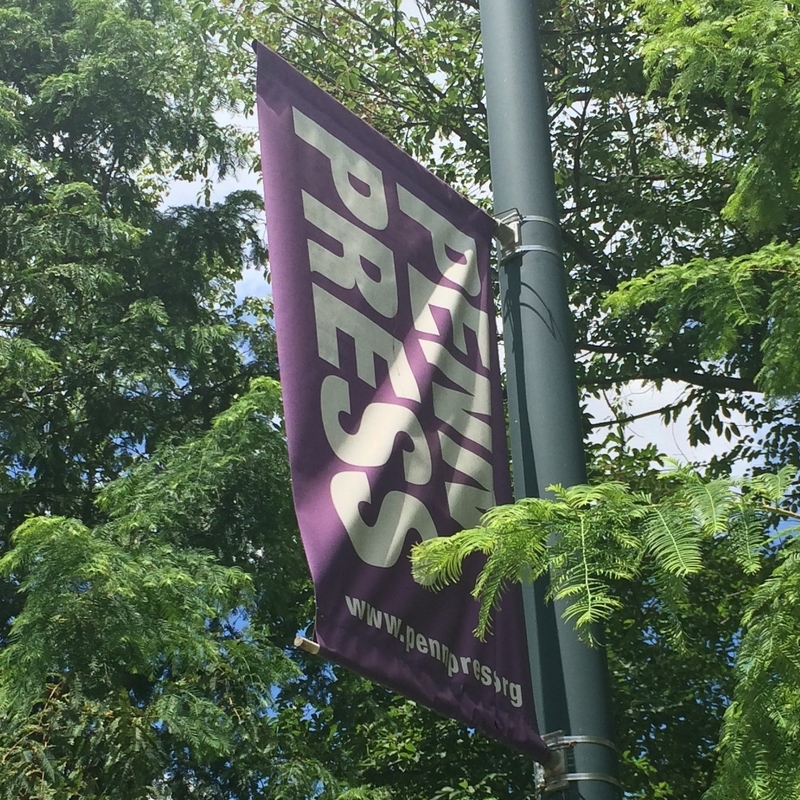 Each day Penn Press members worked tirelessly to promote and champion original, intellectual thought, showing me scholarly publishing is mission-oriented, requiring a passion for academia. 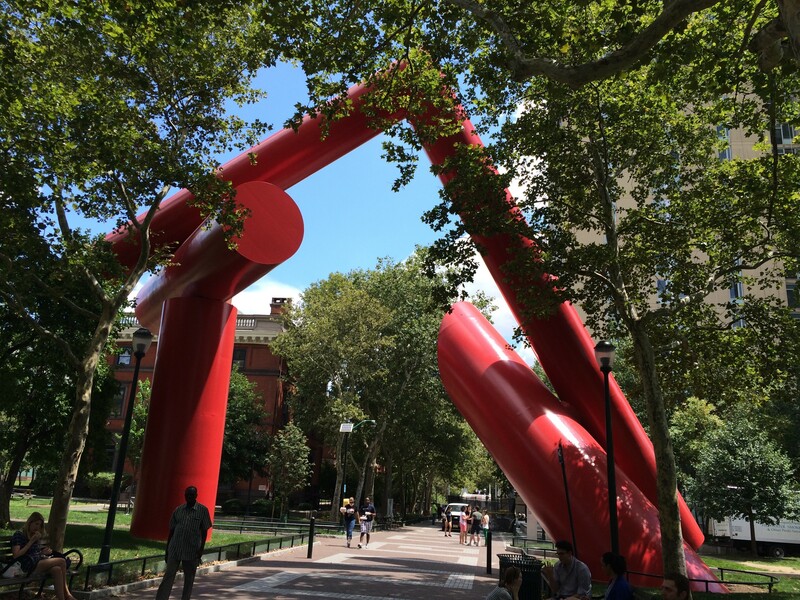 The goal-oriented environment at Penn Press was inspiring, confirming my desire to work in a field that values intellectual property and the accessibility of ideas. Penn Press not only showed me scholarly publishing is a field with a focused mission, but also that this field is multifaceted. Before this internship I focused on the editorial side of publishing without realizing I was ignoring the multitudes of other people and tasks involved in bringing a book to fruition. Because Penn Press had a transparent and comprehensive internship program I was able to gain access to the sides of publishing I had never experienced before, learning for the first time about the intricacies of marketing, production, and business management in publishing. Seeing each of these different departments utilize unique skills while working together was informative, revealing that scholarly publishing provides an option for a wide array of learners and workers. Because of Penn Press my perspective on publishing as both a field and a career is expanded, and my goals affirmed. 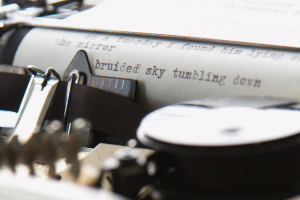 Requiring an avid interest in a spectrum of subjects, and combining unique skill sets, scholarly publishing provides a career opportunity that encourages one to learn constantly while calling upon an array of strengths. Seeing how scholarly publishing allows one to be both a professional and a student at the same time was encouraging to me, as someone with a passion for both publishing and academia. This internship allowed me to determine that scholarly publishing is a fulfilling career option, and thanks to Penn Press and to Sigma Tau Delta, I can pursue my goals confidently! When have you had a goal-affirming experience regarding your desired career path? Sigma Tau Delta offers funding for current undergraduate and graduate student members accepting non- or low-paying summer internships. 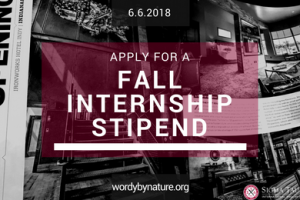 The Summer Internship Stipend is a competitive program providing a limited number of stipends of up to $1,500 each. The internship must involve working for an “organization” while being directed by a supervisor/mentor within that organization, and the internship’s duties must be consistent with the applicant’s level of education, area of study, and career goals. Financial need will be taken into consideration. Applicants are responsible for obtaining and providing verification of the internship. Decisions will be made by May 2.